A long time ago in a galaxy far, far away, direct marketing was the accepted practice for getting your product or service out there. Apparently that's not what the cool kids are doing. We're sure you've heard there's a new Star Wars movie, but you might be surprised to know that Disney has been taking it relatively easy when it comes to direct marketing for the film. You might wonder how that's possible, especially since you can't turn on the TV or pull up a website without coming across even a tiny bit of Star Wars-themed marketing. The answer is in the way Disney used branding partners. This arrangement allows Disney to keep Star Wars front and center without spending hundreds of millions of dollars, and it lets the partners benefit from being associated with a global brand. As we get closer and closer to the theatrical release of the film, we decided to list out some of our favorite Star Wars brand partners from the last few months. While many car brands spent November and December marketing their year-end holiday sales events, Fiat Chrysler Automobiles (FCA) went Star Wars crazy with several TV spots and marketing stunts. It actually started back in September when FCA's Dodge brand sent a fleet of Stormtrooper-themed Chargers to New York City for a cross-promotion with Hot Wheels and Uber. Star Wars-themed commercials for FCA brands Dodge, Jeep, Chrysler and Fiat started appearing this month, capitalizing on the excitement surrounding the final weeks before the movie's release. Tying a science fiction universe with our Earth-bound vehicles could have been tricky but FCA nailed the cool factor, especially with the performance-focused spots for Dodge and Fiat. Our cars might not be headed for a galaxy far, far away, but that doesn't mean they aren't exciting. A little imagination and a couple fresh batteries are all you need to take on the Empire. That's how Duracell appealed to the kid in all of us with their Star Wars-themed holiday commercial that started running in October. In it, a young boy fires up his new Duracell-powered lightsaber for the first time and brings the Star Wars universe to life, leading to an all-out battle against the Empire alongside his sister in the backyard. This one actually reminded us quite a bit of Volkswagen's "The Force" commercial from 2012. While the imagination is for the kids, the nostalgic appeal for us adults is front and center in both commercials. After all, the kids aren't the ones buying the batteries or the Volkswagens. But that doesn't mean the adults can't have some fun too. Just look at the parents who play along in the Duracell commercial. This one is a little more global and long term than our other two favorites, but we couldn't leave this epic cross-promotion out. All Nippon Airways (ANA) is the second largest airline in Japan and took its love for Star Wars to a whole new level when it painted one of its Boeing 787-9s to look like everybody's favorite rolling droid, R2-D2. The cross-promotion will actually last several years and will include two more Star Wars-themed planes. You might not have many opportunities to ride the ANA R2-D2 plane if you're not going to Japan anytime soon, but this campaign turned global thanks to ANA's engagement with fans on social media and the company's own unique landing page. We might not have X-Wings and TIE Fighters in our world, but riding the R2-D2 plane would put a smile on any Star Wars fan's face. Feeling overwhelmed by the tidal wave of Star Wars content? We can break it up with some holiday excitement. Check out our post "Our Favorite Holiday Marketing Campaigns." You all remember our furry friend Chase R., right? You met him at NADA 2015 and hopefully kept up with him on Twitter throughout the conference. Well Chase is back — but this time with a frenemy (a friend with whom you have a secret rivalry). Meet Market, the elf. Some of you may have already seen Market on our Twitter or Facebook pages. He’s a little rascal, so he and Chase have been pranking each other back and forth ever since he came to town. But that hasn’t stopped him from getting his work done. You can keep up with Market and Chase’s shenanigans throughout the month on our Twitter or Facebook pages. If you have one of Chase’s furry relatives and an Elf on the Shelf, share your photos with us using the hashtag #ChaseandMarket! Break out the eggnog, cue the sleigh bells and don your favorite tacky sweater — 'tis the season to be inundated with commercials featuring new cars, giant bows and picturesque snow-covered vistas. OK, we actually like the giant bows, even if they have become a bit cliché in holiday auto marketing. But who can blame these car companies when consumers are hungry for holiday content long before Thanksgiving? Here are some of our favorite holiday marketing campaigns from recent years, including one with a giant bow (can you tell we like them?). Everyone had special toys to be excited about on Christmas morning when we were kids. The folks at Honda are no different. The "Happy Honda Days" campaign has been around for several holiday seasons, but they hit a home run in 2014 when they brought 80s toys such as Skeletor, Gumby and G.I. Joe to life to sell us on the amenities in the Honda lineup. The parallel being drawn is pretty obvious. We loved our childhood toys, and now that we're older it's time to treat ourselves to a more age-appropriate gift, such as a CR-V or a Civic. The campaign not only tugged at our nostalgic heartstrings, it also tied in the holiday element perfectly, helping us remember the joys of a childhood Christmas. The Lexus "December to Remember" campaign has been around since 2000, and over the years it's mostly stuck with a traditional image of a giant red bow on a new car. Lexus brought the bow back in 2014 but injected a bit of Christmas magic into the campaign that made even the adults feel a bit like kids on a Christmas morning. 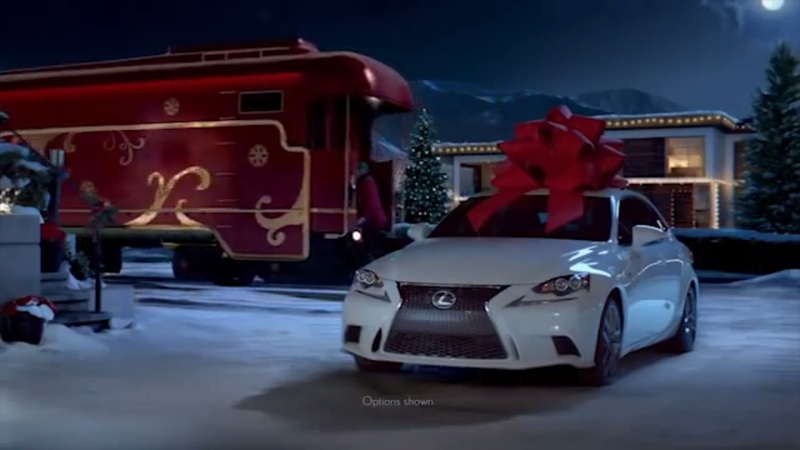 The campaign's TV spots featured awe-struck children (and sometimes adults) as one of the parents explained how Santa Claus delivered a brand new Lexus from the North Pole to the family's driveway. From a Polar Express-like railway to a teleportation device, old St. Nick has some impressive tricks up his sleeves. Of course we know that's not how the cars get there, but it's easy to get caught up in the magic of the season — or maybe we're just excited about the new cars. The Mercedes-Benz Winter Event is another recurring holiday campaign, but they especially got our attention in 2012 when they wanted to know if their customers had been naughty or nice. The multi-channel campaign was highlighted by a TV spot that showed Santa inspecting a row of white cars and a row of red cars. Of course the white cars were designated for the nice list while the red cars were going to the naughty list. The naughty-or-nice theme continued on the campaign's digital side as customers could send e-cards with white or red cars to friends and family depending on whether they'd been naughty or nice. The holiday element was nicely executed, and this year's version of the campaign even features Santa ditching the traditional sleigh for something a bit more modern. What are your favorite holiday marketing campaigns? Let us know in the comments. Zombies in the service department, ghosts haunting the lot, skeletons on the sales floor — these spooky scenarios are no match for what you could be doing to give your customers a scare this Halloween. If losing out on leads doesn't frighten you, here are some tips for sending your customers screaming in the other direction (straight to your competitors). 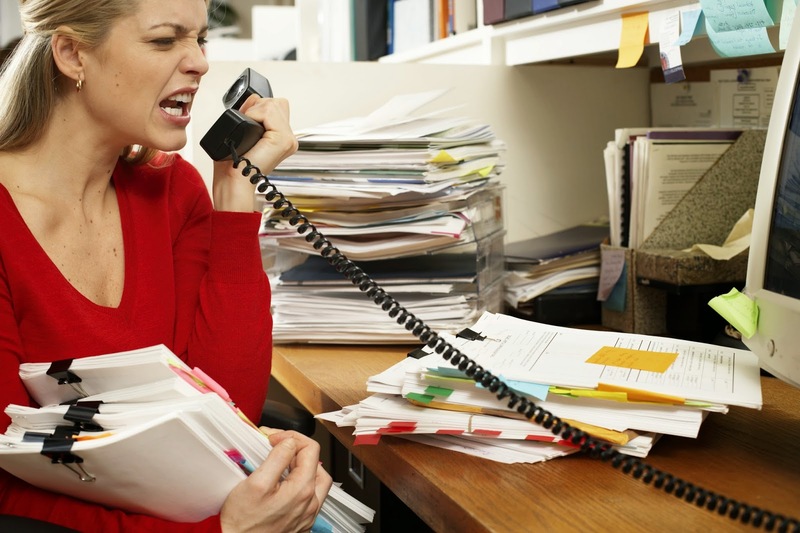 Nothing is more frightening to a customer than a salesperson who doesn't answer the phone or call them back. Some customers are so determined to give you their business that they'll call multiple times. But if you want to give them a real scare, just keep ignoring them. To pull this one off, avoid using a call tracking program that alerts you to missed or after-hours calls. Reaching out to customers is the last thing you'd want to do if your goal is to send them to your competitor. Want to really get your customers' hearts racing? Have their calls routed to a phone number that rings and rings and rings and never gets answered. Better yet, have them bounced from department to department while they're trying to get a time-sensitive issue resolved. Your customers will be terrified of dealing with a real human being if they ever reach one. Steer clear of a call tracking program that aids call completion lest your customers actually reach the person or department they want to talk to. Using a service that can automatically route customers from an interactive menu would keep your customers happy, which is the last thing you want if you're aiming for screams. Listen to Call Recordings? Don't Do It! Improving customer service? Who needs to bother with that? Don't concern yourself with evaluating your employees' calls if you want to send shivers down your customers' spines. 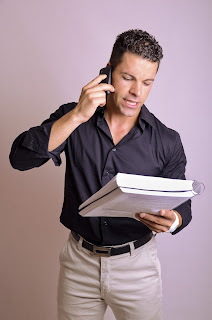 Prospects will steer clear if they have a bad experience during a phone call. To make sure your employees keep sending customers elsewhere, don't use a call tracking program that records calls. Your customer service would improve thanks to training opportunities uncovered by listening to recorded calls — and you might even uncover a few lost leads in the process. 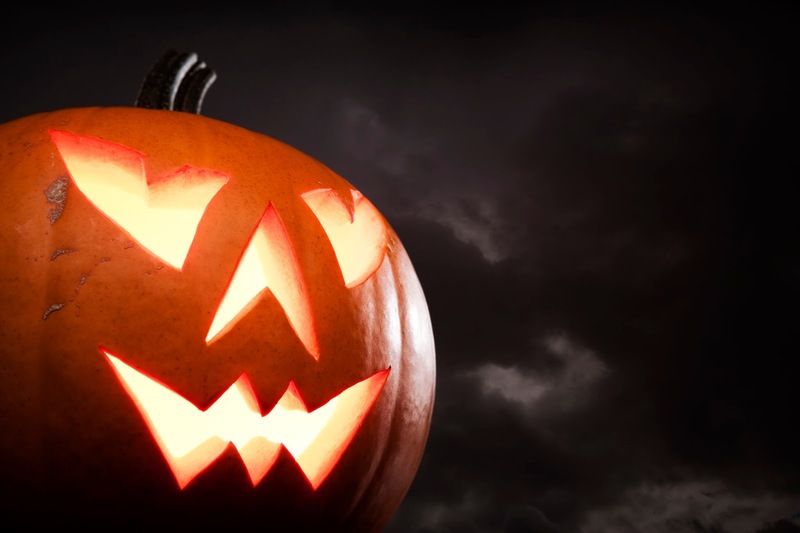 Since you're trying to scare your customers and not keep them, you should definitely avoid listening to calls. A few car companies didn't get the memo about scaring off potential clients. Read our post to see how they drew in lead after lead. When it comes to automotive marketing, football is king. Some of the best campaigns got their 30 seconds of fame in the Super Bowl spotlight, while Hyundai's coup to snag the NFL automotive sponsorship made big headlines in June. With even preseason games bringing in 11 million viewers, it's easy to see why the automotive industry loves football. We love football too (especially our hometown Houston Texans), and we're pretty excited that the season is finally underway. While Texans linebacker J.J. Watt can probably teach us a thing or two about marketing — seriously, the guy is everywhere these days — we wanted to take a look at what we could learn about dealership marketing from the game as a whole. Football is a strategic game. 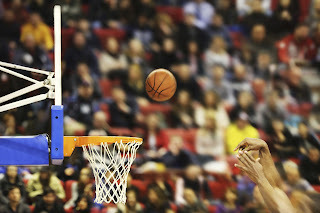 Coaches spend years developing offensive plays that can exploit all kinds of defenses, and the players have to execute them at a high level to be successful. On running plays, everybody from a lineman to a receiver has a blocking assignment, and just one missed block can turn a big play into loss of yards. Passing plays are similar in that three to five receivers are running designated routes, trying to find gaps in the defense. 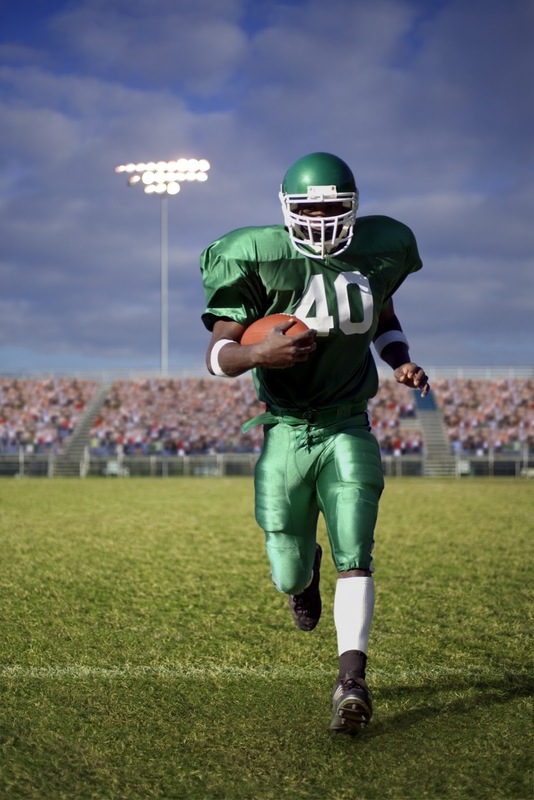 Just like football, good marketing boils down to having a smart strategy. 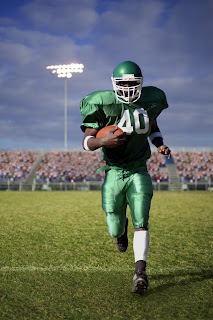 Gaining a new client is like scoring a touchdown, and your competitors are like the defense trying to block it. You need to come up with a strategy that finds gaps in the defense, such as an under-served segment that can be targeted, or closes some of your own gaps, such as getting your campaign seen by the right people. Find the right strategy, and you'll be the Vince Lombardi of marketing. A football coach's work doesn't end after a game or practice is over. Every week there are still hours of film from games — theirs and their opponents' — and practices to pore over and evaluate. Coaches watch film to find the strengths and weaknesses of both their team and the opposing teams. Watching film is a crucial part of building a sound strategy and being prepared for any given game. You need to evaluate your marketing campaigns in much the same way that coaches evaluate their teams by reviewing what works and what doesn't. While you're not exactly filming every customer's reaction to a marketing campaign, you can find the value of a marketing campaign with the help of a call tracking program. Using dynamic toll-free and local numbers for your marketing campaigns and tracking the resulting calls allows you to see where you're having the most success. Omaha! Omaha! If you're a football fan, you know Denver Broncos quarterback Peyton Manning isn't just a fan of really good steaks. Manning's ability to read the defense before the snap and call an audible to change the play is well known. The reason he shouts "Omaha" varies depending on the game or the situation, but it usually means something is changing. Manning's flexibility when it comes to play calls has helped him become one of the most successful quarterbacks in NFL history. Much like how Manning's pre-snap routine has helped him become a winner, being flexible with your marketing can help you put up impressive statistics as well. There will be times where a well-planned campaign just isn't getting the job done. That's when it's time to tweak your strategy to cover the gaps in your marketing that you didn't expect when you launched the campaign. Don't be afraid of change. Indoor sports are still a few months away, but if you're already excited about the upcoming NBA season, take a moment to review last year's amazing championship and read our post "What the NBA Finals Can Teach Us About Marketing." You know (or should know) the stats by now. It takes 12 positive customer service experiences to make up for one negative experience. Your probability of selling to an existing customer is 60-70 percent versus the 5-20 percent chance of selling to a new prospect. Most buying experiences (70 percent, to be exact) are based on how the customer feels they’re being treated. 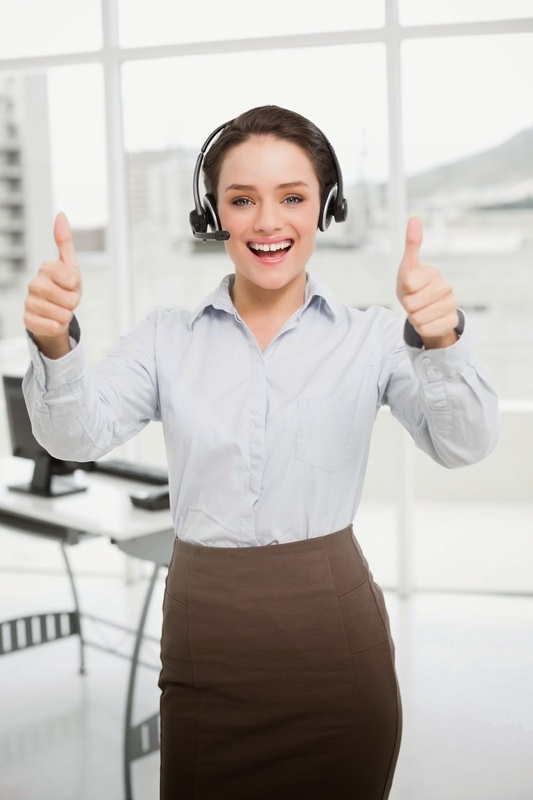 These stats have been ingrained in your head, so you’ve trained your staff on exactly what to say to provide top-notch customer service over the phone. But is that really the best approach? No two customers are the same, so should your staff follow the same script with every call? Here are a few mistakes your staff could be making while following your phone scripts. If your staff is too focused on saying everything in the script, they may speak so fast that callers don’t understand them. And if you’re evaluating your staff’s calls (as you should be), it might get tricky if your employees sound like auctioneers. Encourage your employees to take the time to enunciate each word so your customers can understand what the salesperson is saying. What’s the point in training your staff what to say if your customers have to process their words in hyper speed to understand them? Sally Salesperson: Thanks for calling ABC Motors. This is Sally. How can I help you? Chris Customer: Hi, my name is Chris, and I’m looking for a red four-door pickup. Sally: Yes, sir. I’d be happy to assist you. Can I please have your name and the type of vehicle you're interested in? Not only is it frustrating for customers to have to repeat things, but it can also unnecessarily lengthen the amount of time it takes for your staff to address each caller’s request. Advise your representatives to make a conscious effort to listen to pertinent details the customer gives them. Suggest that they take note of those details so the caller doesn’t have to repeat them. Sometimes customers have complicated questions or issues that need extensive explanations, and other times they just like to talk. Either way, it’s never appropriate for the salesperson to interrupt them. But if your representatives are constantly focused on the next line in the script, common courtesy can take a backseat to saying what they’ve been trained to say. Make sure your salespeople pay attention when customers are talking and only speak when the customer pauses. Your customers should always come before a checklist of things to say. Do you allow your staff to ad-lib when speaking to customers? Have you had success with using a phone script? Let us know in the comments! Family vacations rarely go as planned. Whether your dad takes a wrong turn in Albuquerque, the hotel fire alarm goes off at 3 a.m. or you "forget" your little brother at a highway rest stop, crazy experiences are almost the norm and sometimes make the best memories. Maybe that's why "National Lampoon's Vacation" — starring Chevy Chase as patriarch Clark Griswold — was an instant classic when it was released in 1983. The Griswolds' wild cross-country trip spawned a number of sequels, including a reboot that released a few weeks ago. But just because there's a remake doesn't mean the original is any less relatable today than it was in 1983. 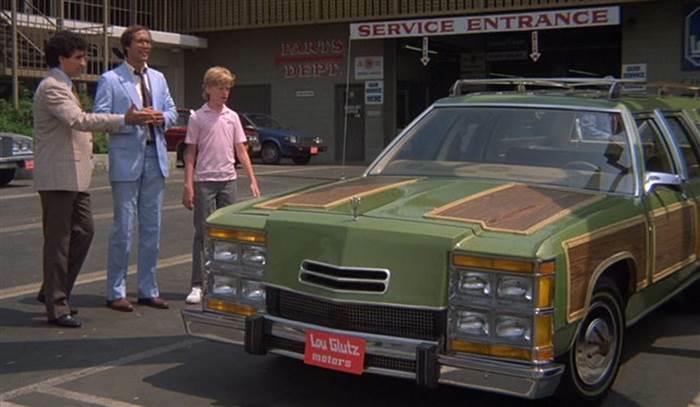 Here are a couple of dealership marketing lessons we can take from the Griswolds. The Griswolds' trip can't have gotten off to a worse start when Clark visits a dealership to pick up the Antarctic Blue Super Sports Wagon he's ordered. Unfortunately, the Sports Wagon won't be ready for six more weeks, because the dealer has ordered a Wagon Queen Family Truckster instead. The dealership then goes out of its way to offload the inferior model on the Griswolds. As hard as it might be to feel bad for Clark while you're laughing at his misfortune, this is a situation that should never happen at a dealership. You should never market a particular vehicle or service to a customer and then not follow up on your promises. Even as the Griswolds' trip spirals hopelessly out of control, Clark never loses sight of the ultimate goal: Walley World! From being stuck with cranky Aunt Edna to having to deal with a shady mechanic in the desert, Clark never gave up and finally got his family to the theme park of his dreams. Just as Clark doesn't back down from a series of challenges, your marketing team shouldn't either. Much like a Walley World roller coaster, the industry can have its ups and downs. Sometimes campaigns will have rough starts and other time you'll think you've won the lottery, but either way it's important to stay focused on getting results and bringing in customers. Have you ever had a crazy family vacation? What dealership marketing lessons can you glean from your experience? Let us know in the comments. Open your eyes. Check your phone. Brush your teeth. Sound like your morning routine? If you’re between the ages of 18 and 44, you share this ritual with 80 percent of your peers (at least when it comes to checking your smartphone as soon as you wake up — we can’t speak to the toothbrushing part). As the below infographic by DK New Media shows, your customers, like you, are living in a mobile world. What are you doing to make your business mobile friendly? With tweets and status updates running our world, social media is the prime place for business and networking. We know that online real estate marketing can be downright brutal, so here are some tips you can use to make the most of your social media accounts. It’s true. The times of newspaper ads and yard signs are slowly being consumed by Internet traffic and screenshots. Keep up! While in-person connections are still a vital part of the process, using social media can really seal the deal. About 82 percent of 30- to 49-year-olds use social media, and that’s your primary target market. You have to find a way to connect with them organically so they don’t feel pressured to make a decision. Once you connect with them, start cultivating a relationship. The real estate industry is second overall in terms of inbound engagement (give yourself a pat on the back for that one). That’s huge! People are begging realtors to get in touch with them; however, realtors don’t seem to take advantage of this opportunity. Real estate is ranked 13th in responding to online messages. Do we see an issue with these two rankings? An easy way to practically improve social media usage is to stay organized. Set deadlines for social media and blog posts each month, then stick with them. By simply incorporating social media updates into your daily routine, clients will stay interested and connected with your agency. Whether it’s taking photographs or creating designs, staying afloat in the social media world means you’ve gotta get crafty. Facebook has an 87 percent action rate with posts that include a photo. 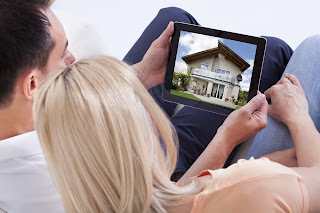 If you have a new listing, post a picture of the house and prompt a question. This will boost engagement and show your audience you care enough to interact with them. Social media is the prime place to get new clients and keep up with the competition, so hopefully now you see how this tool can benefit your agency immensely. 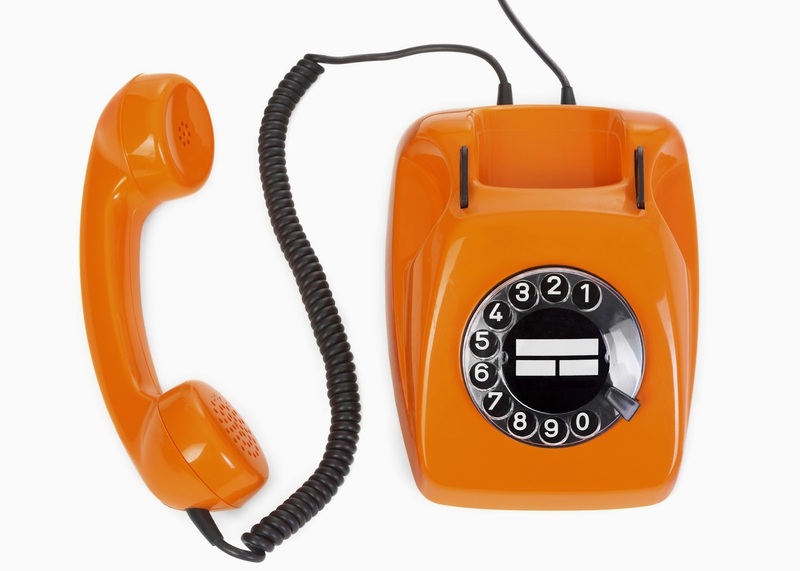 To continue growing your client list, learn how to get leads to call you. Our hometown Houston Rockets might be out, but that doesn't mean we're not enjoying watching the Cleveland Cavaliers and the Golden State Warriors duke it out in the NBA Finals. Watching the Cavaliers' LeBron James drive to the hoop and the Warriors' Stephen Curry hit long 3-pointers got us thinking about some things we can learn from these two juggernaut squads. Here are a few tips you can take from them to make sure you're set up for success. LeBron James is as big a superstar as they come, but even he needs good teammates to give the team a chance to win. With players such as J.R. Smith and Tristan Thompson playing their respective roles, the Cavaliers are in the finals for the first time in eight years and are trying to give the city of Cleveland its first major championship in more than half a century. Just as you wouldn't ask Thompson — the Cavaliers' second best rebounder — to take 3-point shots (he didn't attempt even one this year), you wouldn't ask one of your marketing team members to produce every aspect of a campaign. When creating a campaign, let the graphic designer, the writer and the web developer each do their respective jobs. They'll produce a better campaign as a team, playing to each other's strengths, rather than if a single employee took on all the work. The Warriors' Stephen Curry broke the record for most 3-pointers made in a single season and also led the 2014-15 season in number of 3-pointers attempted. Why did he take more than 620 3-point shots, you ask? We're pretty sure it's because he knows he can hit them; hence that whole record-breaking-3-point-shots-made-thing. If you do something really well, keep doing it. Don't kick out your most successful ideas just because it's time to try something new. When you strike gold with a campaign, ad or promotion, keep it running so you can generate a greater return than you would on less-loved campaigns. If Stephen Curry won't stop shooting threes, you shouldn't either. As we mentioned, you'll get a large return if you keep doing what's always worked. But at the same time, risks can still have a big payoff. Just take a look at the coaches in the finals. Cleveland coach David Blatt had never played or coached in the NBA, and Golden State coach Steve Kerr didn't have any coaching experience going into his rookie coaching season in the NBA. The teams took risks hiring newbies, but so far it looks like it's paid off. Whether it's making the most of a modest budget or doing something out of the ordinary, taking risks when it comes to marketing campaigns can sometimes not only generate buzz but also a healthy return on investment. If your campaigns are getting a little stale, maybe it's time for a brainstorming session with your team. Some of the craziest ideas can turn into great campaigns. 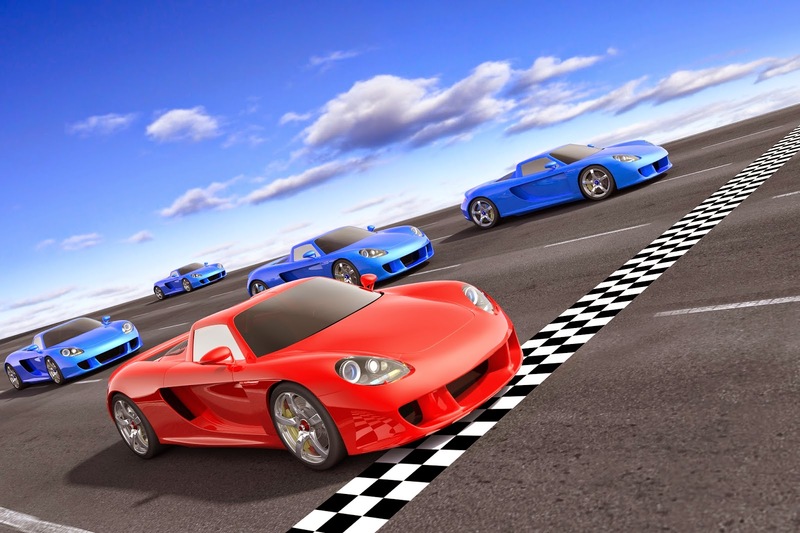 If you're more interested in sports with wheels, learn about how "Win on Sunday, Sell on Monday" can apply to your call tracking needs in our post "How to Make Sure Wins on the Track Turn into Wins in the Showroom." The automotive industry has done some wild things over the years in the name of generating buzz. Need examples? Ford put a Mustang on top of the Empire State Building (twice), Smart used extra-large bike locks to secure some of its diminutive-but-versatile vehicles to lamp posts in Canada, and BMW created a not-so-diminutive art piece called "An Expression of Joy" with a drifting Z4 and lots and lots of paint. At Callbright, we're big fans of quality automotive marketing, especially when those big, expensive stunts actually do their job and generate a healthy return on investment. Here are some of our favorite auto campaigns from recent years that generated both buzz and ROI. How do you market to millennials? Chevrolet's answer in 2011 was to engage them digitally. They did this by making YouTube videos showing the 2012 sub-compact car, Sonic, doing crazy stunts. Chevrolet took the Sonic on its first skydive, first bungee jump, first kick-flip (with Rob Dyrdek at the wheel) and first music video (co-starring OK Go). The campaign started on YouTube and then culminated with a TV spot during Super Bowl XLVI. 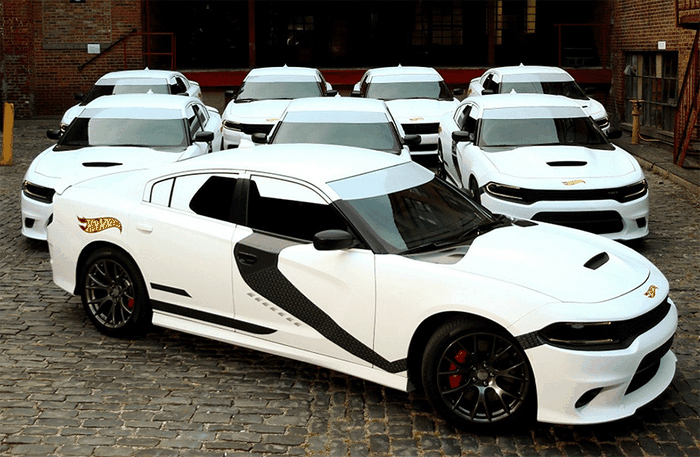 Chevy wasn't lacking creativity on this campaign. The car's bungee jump was streamed live online and the car wasn't "launched" until the website received enough clicks to push the Sonic over the ledge. The campaign was so popular for the way it engaged the audience that it earned a coveted Effie Award in 2013. This one still amazes us more than 10 years later. 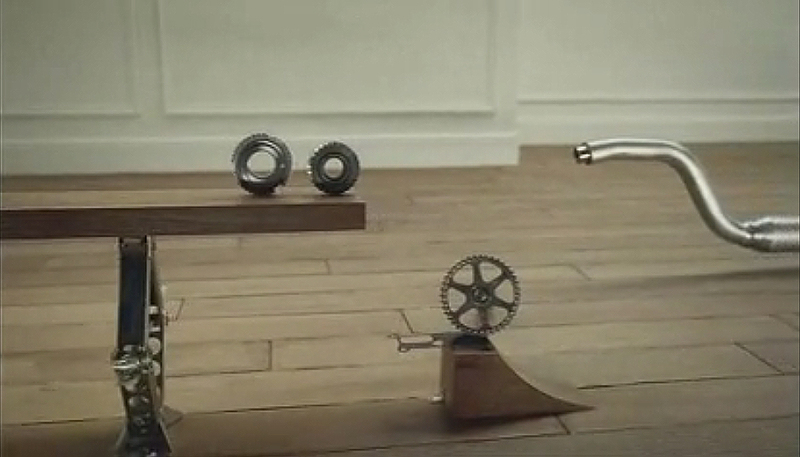 The "Cog" commercial was part of a larger U.K. Honda campaign that included TV spots called "Sense" and "Everyday." It originally aired during a British broadcast of a Formula 1 race in 2003 and featured an elaborate Rube Goldberg machine built with parts from the new generation of Honda Accord. Honda, which had struggled in the U.K. over the previous five years, struck gold with the "Cog" commercial. 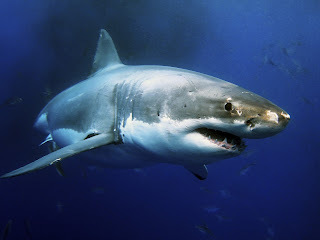 It became one of the earliest viral videos as it reached a global audience via the Internet. The commercial was called the "water-cooler ad conversation of the year" by a British journalist, and Honda's website traffic jumped 400 percent over the course of the campaign. Rebooting a brand that had been dormant in America for almost 35 years was a daunting task for Mini when it brought its new Cooper and Cooper S hatchbacks to the U.S. in 2002. The market was dominated by SUVs and pickups, and Mini had a relatively modest marketing budget to work with. 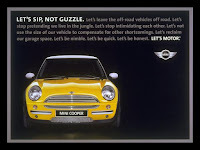 Mini's solution was to target enthusiasts with a counterculture message that encouraged adventure and derided the status quo of American car buying. 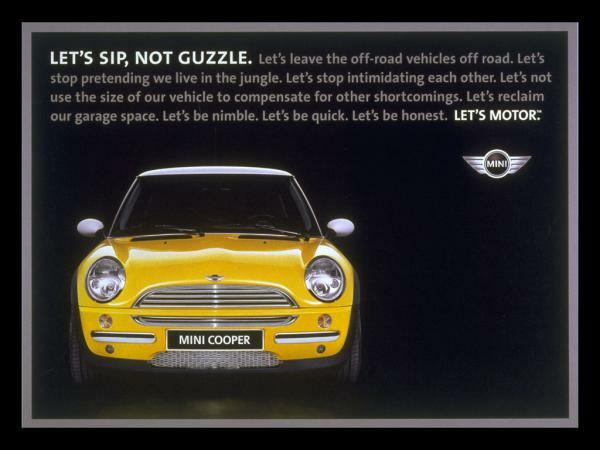 Thanks to the "Let's Motor" campaign, Mini's return to the U.S. was a roaring success. The company sold 5,000 more cars than the original 20,000-unit limit. Brand awareness increased to 80 percent, with about 40 percent converting to consideration. The modest budget meant Mini spent just $567,000 per percentage point of awareness in its first year while other brand's spent an average of nearly $6 million for the same gains. 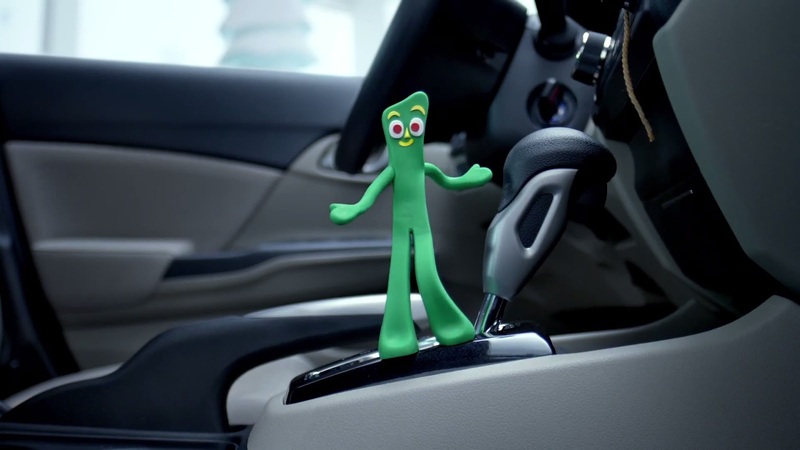 For more marketing inspiration, check out some of these awesome dealership mascots! Well, folks, it's that time of year again: hurricane season. 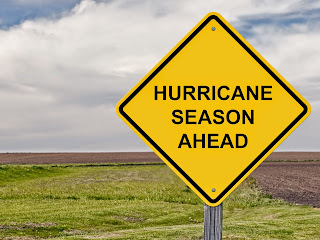 It starts in a few weeks on June 1, and rumor has it we're in for one of the least active hurricane seasons in a decade. But this news isn't a free pass to put hurricane preparedness on hold this year. Before you hit the beach, use this handy guide from the American Red Cross to help you get storm ready. We also want to let you in on a little secret the guide doesn't mention: You can use your call management system as a preparedness tool. Communication is a crucial part of preparing for hurricanes (and other disasters too). To help your business weather a storm, it's important to make sure your prospects and employees aren't left in the dark about what's going on with the company. Here are two ways you can use your call management system to keep the lines of communication open. Even if your business isn't damaged by a hurricane, it might still experience power outages that could knock your phones out. But just because the power is out doesn't mean you’ll have to evacuate potential sales. Several years ago, as Hurricane Ike was bearing down on the coast of Texas, we worked with a client to create a simple contingency plan in case any of the business's 15 locations in Houston experienced an outage. If the phones were knocked out, we had Enhanced Call Completion set up and ready to have calls forwarded to a voicemail system, recorded and emailed to the correct dealership. This would ensure that messages, leads and sales were not lost due to the conditions. You can create a similar solution for your business using your call routing tool. You might also want to record a voicemail message explaining why you’re not answering the phone (like "We’re currently unable to answer the phones due to Hurricane X, but we'll return your call as soon as possible"). Broadcast messages aren't just for your customers. You can use them to keep your employees informed during emergency situations. For example, you could send a message saying, "We have lost the roof at our Suzuki location and all employees are not to return to work until Tuesday," or, "The front road to the dealership is closed until further notice. For now, please enter the dealership from the west entrance." 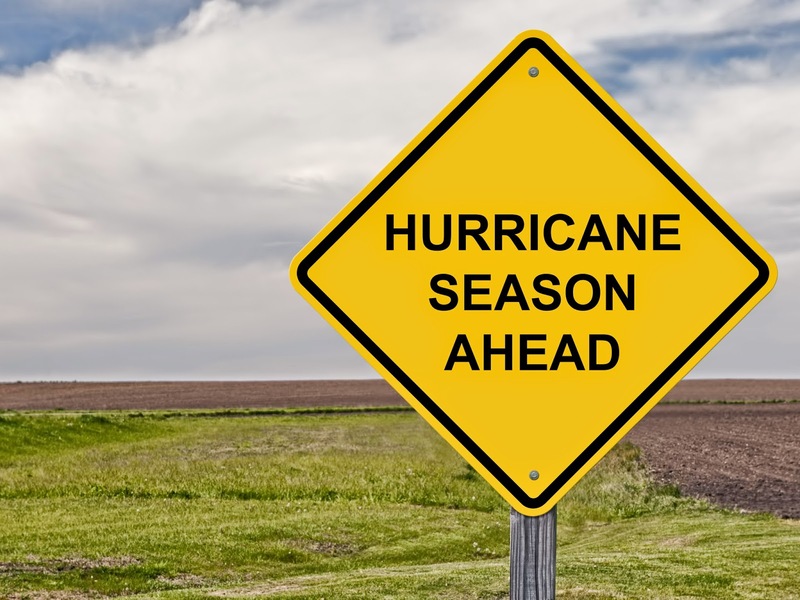 A little bit of prep goes a long way — each of these steps take minimal effort to set up but can play an important role in helping your business survive the effects of a hurricane. Can you think of other ways you can use your call management system for hurricane preparedness? Let us know in the comments! In today's car sales climate, you need to be quick on the draw to reel in customers. Call tracking software can help you follow up on leads and get the job done, but we know that you can't be at your computer all day. When you're out on the lot or in the service department, having a mobile app that ties into your call tracking software can come in handy. However we recognize that having immediate access to all of your call data when you're away from your desk isn't for everybody. 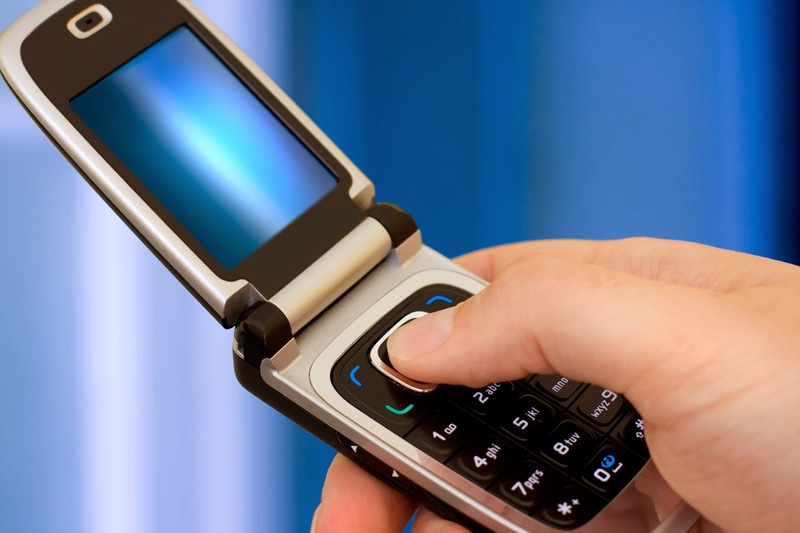 Here are some reasons why a mobile app for your call tracking software might not be fore you. You are the master of your domain — so long as your domain doesn't extend much past your office door. Why would you ever need to leave the comfort and safety of your trusty desk and computer? You have everything you need right in front of you, especially your Rolodex. If you're married to your desk, you definitely wouldn't want a mobile app that can pull up lists of recent calls for a selected campaign no matter where you are. In fact if something goes wrong while you're out of the office, you actually love rushing back so you can fix the problem. You never need to listen to call recordings on the go. We get it. You're traditional. Not so much that you'd go without a cell phone, but just enough that you won't get rid of your Nokia flip phone from 2001. If you like kicking it old school, the last thing you'd care about is a mobile app that allows you to view reports linked to your call tracking software. Some people want to know exactly how well (or poorly) their phone staff is handling calls, even when they're not in the office. That sounds like a hefty burden to carry, knowing your calls are being taken care of. Don't worry — with that dino of a flip phone, you'll never know what's happening on your phones when you're away from your dealership. Burden lifted. Missed calls? No big deal, you say. If a customer is truly interested in buying from you, they'll either call back or visit the dealership. 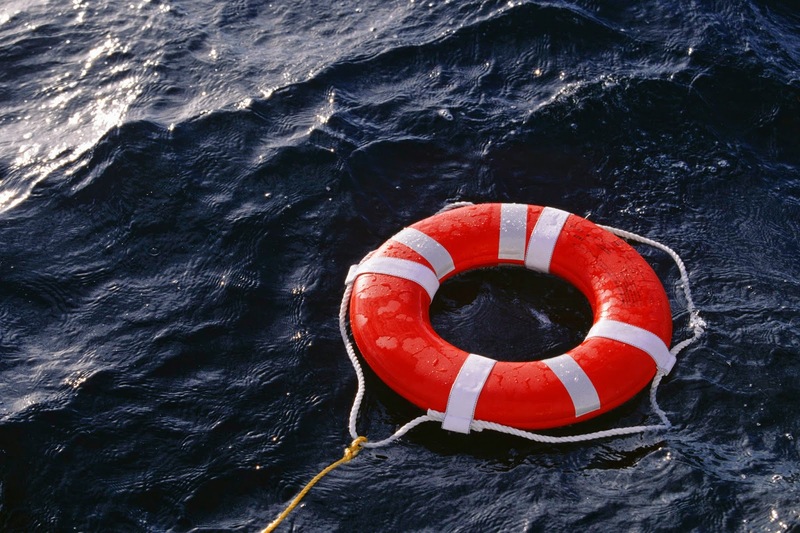 For you, there's no reason to rescue a lost lead, especially if you're not at your desk. If you feel this way, it's completely unnecessary for your mobile device to alert you when your staff has missed a call. Those kind of alerts just aren't for you. You're content to just let the lead go, even though you could use your mobile device to assign the missed call to a sales rep or immediately follow up yourself. If none of these scenarios describe you, you should use a mobile app that integrates with your call tracking software. Still not convinced? Take our quiz to decide. “How do I get people to call me?” isn’t just a plea from the dating challenged. Marketers are realizing that that as mobile usage increases, phone calls are becoming more common and thus more valuable as a lead source. But just because phone leads are more common now doesn't necessarily mean leads will automatically call you before they call your competitor. Cultivating leads is an art that requires you to make phone calls as easy as possible for your prospects. Below are a couple ways you can encourage them to give you a call. Keep in mind that selecting tracking numbers isn't an all-or-nothing decision. You can mix and match different types of numbers for specific purposes or locations (e.g., local numbers for franchises or regional offices and toll-free numbers for corporate headquarters). As a bonus, using tracking numbers gives you access to valuable call data that you can use when analyzing your marketing campaigns. A hard-to-find number isn't much better than having no number at all. In a ConsumerReports survey, respondents expressed frustration over having to dig through a company’s website to find a phone number. Don’t make your prospects work any harder than they have to. Your goal should be for them to find out how to contact you in as few keystrokes as possible. Helping future callers find your number is half the battle, but if you really want to encourage them to call you right then and there, make your numbers clickable. By giving them the option to get you on the phone at the click of a button rather than having to manually enter your number into their phone’s dialer, you increase the odds of making your phone ring. Click-to-call functions, which are available from call tracking providers, also give you the option to display numbers as eye-catching graphics rather than plain text numbers, which is useful for creating call-to-action buttons. Following these tips will up your odds of getting more phone calls from people who want to buy what you’re selling. But wait, there’s more! 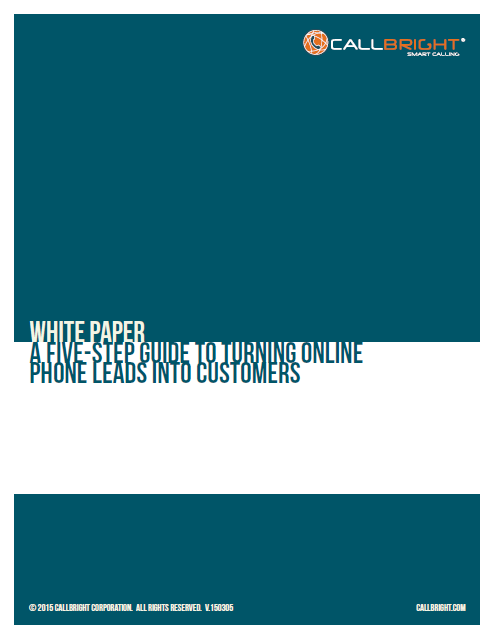 This post was adapted from the white paper we just released: "A Five-Step Guide to Turning Online Phone Leads Into Customers." Go download it here. You’ll get more tips for bringing in calls, plus advice on how to convert those callers into customers. "Win on Sunday, sell on Monday" is one of the oldest automotive marketing catchphrases in the book. When the saying first took off in the 1950s, sales were known to spike following race weekends in Daytona and Indianapolis, but does it still hold true today? Unlike 1950s car buyers, most modern consumers aren't looking for race cars, but experts say action on the track still brings customers to the showroom because motorsports fans are considered opinion leaders for other car buyers. With racing season firing up, a call tracking vendor can help you be prepared for an influx of revved up customers. Auto manufacturers are going to great lengths to invest in motorsports programs and sponsorships, spending more than $5 billion globally in 2014 — and it's paid off. Chevrolet, the world's most active individual automotive brand in terms of motorsports sponsorship dollars spent, had its best July in seven years after a busy four-race weekend in Indianapolis last year. Just as Chevrolet and other auto manufactures gauge returns on their sponsorship dollars by tracking sales, you can see where your marketing dollars are catching the most checkered flags by using an inbound lead tracker. With 94 percent of marketing budgets being spent to entice customers to call, knowing which ads are most successful will keep you going in the right direction. Considered one of the most powerful brands in the world and easily the most successful team in Formula 1 history with 16 constructors' champions, Ferrari's winless 2014 season on motorsports' biggest stage tarnished its image in some eyes. The Italian company's production car business is as profitable as ever but it was still bumped from No. 1 to No. 9 in Brand Finance's annual Top 10 Brands earlier this year. Just as Ferrari can take a hit from its losses, your dealership can take a hit from losing leads. Use a professional call evaluation service to make sure potential customers aren't racing to your competitors because of missed or mishandled calls. Have Sunday's wins or losses had an effect on your dealership? Share your experiences in the comments. In today's world, marketers have to know how to tweet, snap, vine and share to get brand exposure and awareness up. Gone are the days when all you had to do was write good copy — now you have to squeeze copy into character limits and videos into time limits. This infographic hits the high points of what you need to know to use social media effectively for your dealership. For more tips on how your dealership can get deeper into digital marketing, check out this post. We've already told you how your dealership can win smartphone shoppers, so you should be prepared for the surge of mobile usage when it comes to car shopping. But do you know just how important it is? According to Google, 48 percent of searches for car dealerships happen on a mobile device. That's too big a chunk to ignore. If you haven't hopped on the mobile marketing bandwagon yet, you need to get moving. 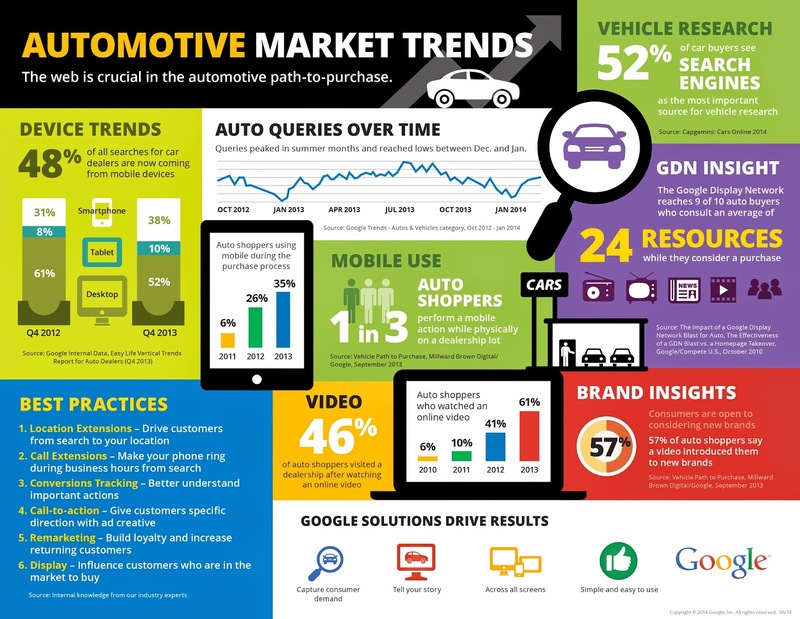 But first check out these other auto marketing trends Google compiled in this infographic. If you’re in the auto biz, you know that 2015 is predicted to be one of the best years the industry has had in a while. Now that gas prices are lower and the economy is getting back on its feet after a nasty knock, dealerships are expected to sell 17 million or more vehicles this year. To give you a little perspective, that’s the highest this number has been since 2001! 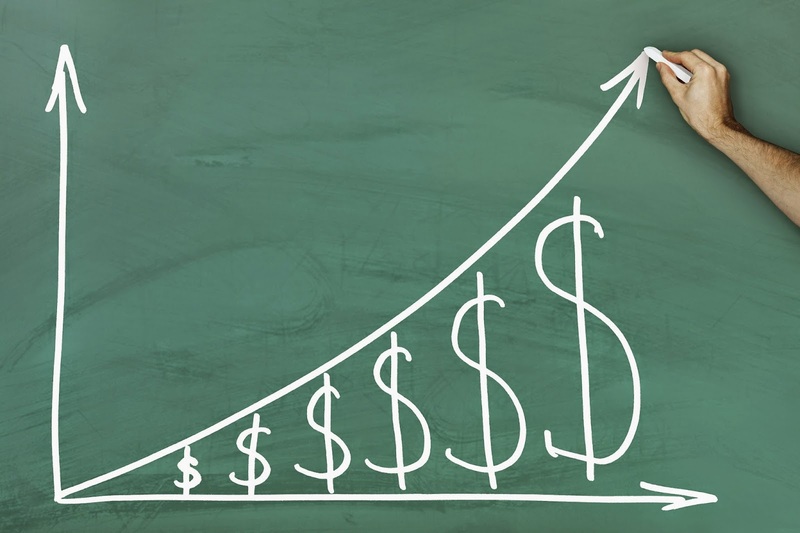 With this kind of growth, you can bet you’ll have more leads to manage. Things might get a little crazy, so get ready! Here are a few tips for keeping up with all those leads. 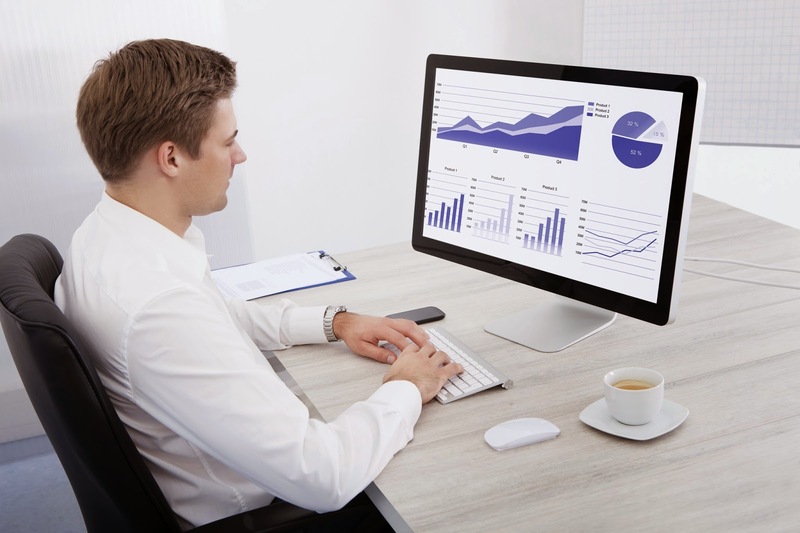 Making sure your CRM is up-to-date is an important part of the car-buying process. But who wants to deal with data entry when you have sales to focus on? If your salespeople are busy handling an increasing number of sales calls, important lead information is more likely to fall through the cracks — unless you automate your information-gathering process. By integrating your call tracking system with your CRM, you can sync your call records and prospect information, giving your sales team a break from data entry. And here’s another plus: When a new prospect calls in, you won’t have to worry about spending valuable time gathering their information, because your call tracking system will capture these details for you. Last year we talked about how the auto industry’s workforce was booming. We expect that pattern to repeat itself this year. After all, you have to have people to manage all those sales! But then how do you find time to train all those people to manage all those sales?! To find out, read our post here. In response to an increasing number of phone and web leads, one dealership in California decided to rethink the way employees handle leads. The old way: Calls were evenly distributed to all associates, whether they were salespeople working the floor or associates sitting behind desks responding to Internet leads. As for web leads, there were seven people to handle 1,000 leads a month. The new way: The dealership analyzes employees’ unique skills with a computerized test. Based on the results, employees are assigned to one of two dedicated teams. One group helps customers on the showroom floor, while the other responds to and tracks web and phone leads. By maximizing its workforce, the dealership managed to raise its total sales by 4 percent last year. You might find that a similar overhaul of your workflow is necessary when leads start pouring in. What changes will you make to your lead management process this year? Meet the newest addition to the Callbright marketing team: Chase R. You may have seen him on our Twitter feed the past couple days along with #FollowChase. He’s only a few days old, but in teddy bear years, that makes him an adult. His main job duty (other than being adorable) is to make sure we follow up with all the online leads we snag. When someone expresses interest in Callbright, he makes sure a salesperson contacts the lead quickly, much like our lead chaser product. Seeing as Chase R. is the newest member of our team, we wanted you to get to know him. But he’s a little busy because he’s currently at his first tradeshow: NADA 2015 in San Francisco. So far he’s loving the fresh seafood — especially the salmon. Unfortunately, we couldn’t get him to do an interview (because he’s too shy, not because he’s a stuffed animal) so we figured we’d just give you a peek into his life by updating our Twitter with his shenanigans. Follow @855callbright on Twitter for a sneak peek into Chase’s lavish lifestyle or stop by booth #727S at NADA to meet him! In a generation where moving from job to job is the norm, managers love to have good employees sit and stay awhile. If your business relies heavily on call tracking — whether it's for marketing attribution, sales or customer service — it's important to build a call tracking program that’ll keep millennials engaged. The key is to consider millennials' unique perspectives on the world they live in and their work habits. To help you make that happen, we've put together some guidelines based on research from a study of millennials in the workplace. We’d also like to point out that we (the Callbright bloggers) are millennials, so we've got some inside perspective. Don't believe the stereotype that all millennials are lazy. It’s true that they emphasize work-life balance more than the baby boomers, but give them some specific projects and goals to work toward and prepare to be amazed. Whether the project is helping you create a phone training program for new associates or reaching specific call metrics, like landing X number of upsells a week, millennials love having concrete goals. And by the way, as soon as a millennial starts a new job, there's no need to make them wait to get to work. Let them jump right in and start working on projects! They prefer it. Trust us. The study we referenced for this post tells us that millennials are "at ease with communications technologies." You probably knew that already, but hey, it's nice to have your assumptions validated. Work those tech skills to your advantage! Give your Gen Y staff members the chance to familiarize themselves with your call tracking tool and have them recommend features or reports you can use. Millennials "multitask, and view time as a valuable resource that should not be squandered," so they're more than happy to find ways to improve your operational efficiency. And by giving them a chance to take ownership in their work, you're increasing their job satisfaction. Encourage collaboration among your younger staff members. Research shows that group work models "enhance innovation, increase productivity, and they often lower personnel costs." When a few millennials put their heads together, you have the potential to take your call tracking program to places you never thought it'd go. There's another plus too: When millennials feel involved in what they're doing, they're less likely to become bored at work and therefore less likely to quit. Collaboration = awesome. What else can we say? Millennials are relational people. They "expect close relationships and frequent feedback from supervisors." To build their loyalty to you and to the organization, always be open, honest and respectful when talking to them about their work. This is especially important if you use call monitoring in your phone training process. So what do you think? Does your call tracking program have what it takes to help millennials stick around? If you're a millennial yourself, what changes would you make to your company's call tracking program? Let us know in the comments! 2014 was a big year for Callbright! We started this blog, got a huge makeover and built a new website. Among all our big milestones, we tried to keep providing fun and informative content. Here are our top five posts from last year. This post details how you can use toll-free numbers (TFNs) on your promotional items to gauge their effectiveness. This information will help you make informed decisions about your marketing efforts and give you insight into your revenue stream. If you’ve heard one myth about call tracking, you’ve probably heard ’em all. But don’t give up on call tracking just yet! In this post, we debunk three myths about call tracking and give some tips on how it’s actually useful. Our infographic takes you on a trip down memory lane by looking back at what was happening in pop culture and how it relates to what happened with call tracking. Who would have thought Campbell’s soup would be the first to use TFNs for gauging customer feedback? We all know fall is full of pumpkin spice everything and big discounts for holiday shopping. But how does this help your dealership? This post was where we told you how to use typical fall promotions to your dealership’s advantage. Drumroll, Please... The New Callbright Site Is Finished! And finally, our face-lifted website! We were all pretty excited about this update in the Callbright marketing office, so we’re glad you liked it too. Here we feature our favorite updates and tell you how to navigate through our newly designed site. What was your favorite Callbright post from 2014? Are there topics you’d like to see us tackle in 2015? Let us know in the comments!